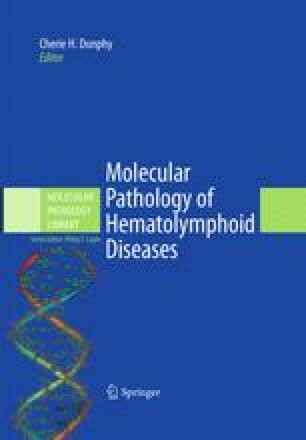 Evaluation for the presence of neoplastic cells or karyotypic abnormalities has traditionally been performed to monitor therapeutic response of hematolymphoid neoplasms. The application of multicolor flow cytometry and nucleic acid amplification techniques has extended evaluable markers and lowered limits of detection, thus leading to the term “minimal residual disease” (MRD). The ability to monitor MRD has, in turn, led to new concepts in the definition of disease “remission” and early relapse and opportunities for personalized therapy. This chapter focuses on the principles of the molecular assessment of MRD.